Many of the most effective activists I know exemplify the qualities I am elaborating here. One moving example is Julia Butterfly Hill. 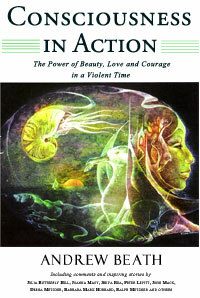 Her story provides a grounding to consider seven attributes of conscious activism as a personal practice that creates transformation. "I changed while in Luna, but it was through understanding myself. The experience gave me an unshakable belief in the interconnection of life, because the only way I could survive was to become one with the tree, to merge with it, to absorb it and have it absorb me.